UniquePacking.com was established in early 2004 located in New York, but we have continued to grow due to our reputation and reliability. We are proud to be able to deliver the largest variety of top quality cello and related products. All of our business is conducted strictly over the internet. In order to provide you with quality service, no pressure for you and in a professional and responsible manner. Product cost is where you will find us to be the industry leader. We invite you to compare us with catalog and other online packaging suppliers; We are confidant that you will find us to be your most cost effective supplier. All of our film is above quality standards in texture and clarity. If you have any questions regarding any of our service or products please use the "Contact us" on the side menu or e-mail us at [email protected] we will gladly answer them via e-mail in 24 hours. You can also visit our eBay store at link below, We are a power seller with over 60,000 positive feedbacks. 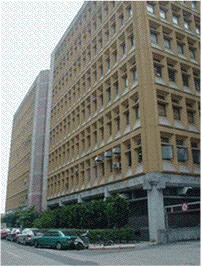 Ruey-Foung Plastic Co., Ltd. establishined in 1975 in Taiwan. We produce and process BOPP film, poly bag and professional in manufacturing sealing tape. To upgrade the competitive capability we offer our customers high product quality and cooperated mutually with our customers to share operating profit.